All members of the Alumni Community can access the benefits and services listed below. For more information please contact us on +44 (0)115 848 8777 or email us. News of events, lectures and career related opportunities. The annual alumni magazine, Network. Receive your copy by mail or email by updating your details. You can also read the magazine online. eNewsletters to provide you with the latest news. To ensure that you receive yours, please send us your up-to-date email address. Access to venture, the secure password-protected Community Area, so that can contact your friends, add a notice to the message board and update your details. Register now! Access to the University’s Employability Team for up to three years after graduation. If you are a recent graduate looking for work, create or use your graduate login at www.ntu.ac.uk/futurehub, NTU’s vacancies portal, to see hundreds of vacancies from employers looking to recruit NTU graduates. If you are an employer and would like to recruit a recent graduate please register on FutureHub and submit your vacancies direct or contact our Talent Team on www.ntu.ac.uk/talent. Access to alumni career profiles, or submit your own. Online community job vacancies board. Up to 25% off online courses with NTU. Access to any of our three campus libraries. Discount on NTU Sport Membership - join directly at our City or Clifton gyms. Exclusive 20% off at the National Justice Museum and City of Caves when presenting a venture card. 10% off at Blackwell book stores at NTU Chaucer and Clifton campuses (by presenting a venture card). 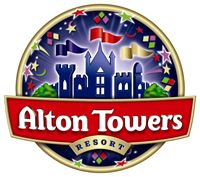 Special discounts at leading attractions around the UK, such as Alton Towers, Chessington World of Adventures, the Dungeons, LEGOLAND® Windsor, Madame Tussauds London, Thorpe Park, Warwick Castle, SEA LIFE, SEA LIFE Sanctuaries. Up to 10% discount on holiday cottages throughout Europe with cottages.com. Up to 10% discount off parks and lodges with Hoseasons. Free use of the Legal Advice Clinic based at Nottingham Law School. Opportunities to retain links with your school or department. Keep in touch with old friends via our email and letter forwarding service.